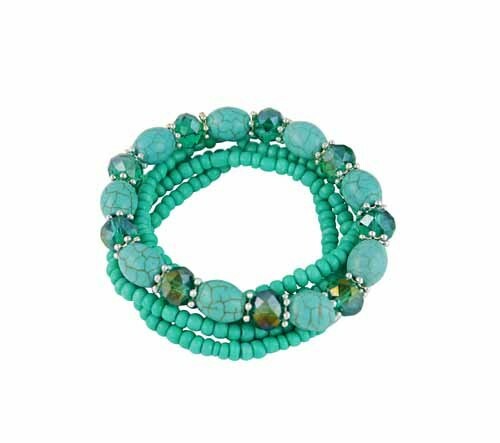 Multi layer turquoise bead stretch bracelet perfect for your festival jewellery look. 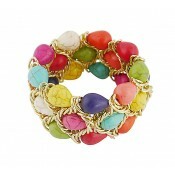 This multi-wrap beaded bracelet features both faceted and polished beads on a stretch cord. A fun design that takes the effort out of creating the stacked look. Perfect for adding a touch of bohemian gypsy spirit.